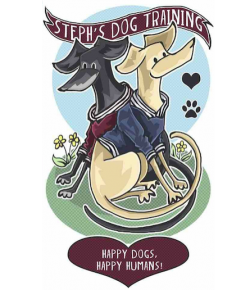 I am a qualified dog trainer and behaviourist based in Dublin 5, available to help people train their dogs and solve behavioural problems using the most compassionate, dog-friendly, up-to-date and effective methods possible. Fun scent work for dogs– private lessons looking at how you can enrich your dog’s life and have fun together by harnessing the power of your dog’s nose. Social walks for dogs of all ages. Social walks allow your dog to maintain and develop their social skills, make friends and do some fun training. Talks for vets, groomers, dog walkers, groups, schools and businesses. You can find out more on some these services by clicking through the relevant pages on the website. Please feel free to read through some of my dog blog posts and do not hesitate to get in touch for more information on any of the services I offer. I have daytime, evening and weekend appointments available. Please contact me for further information. Why not follow me on facebook and keep on top of what’s going on in the doggy world?